This chapter is of a preliminary nature. In its first three sections, we introduce the general notions of incidence structure and incidence preserving map, and define incidence matrices, an important tool for the proof of many non-trivial results to be encountered later. 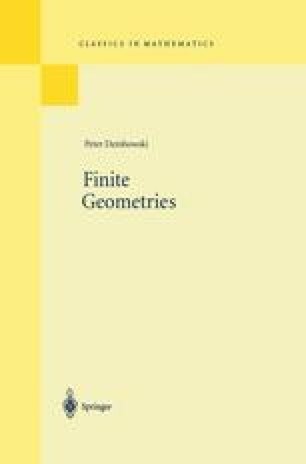 We shall develop general theorems on finite incidence structures (many of them originally proved under unnecessarily restrictive hypotheses) and thus set up the framework for the more specialized investigations in later chapters.